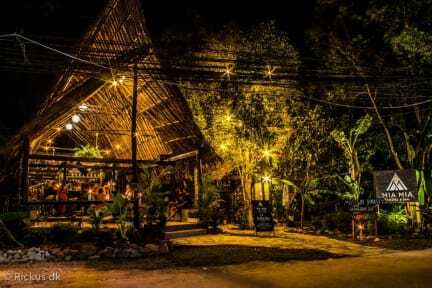 Mia Mia Hostel v Sihanoukville, Kambodža: Zarezervujte nyní! 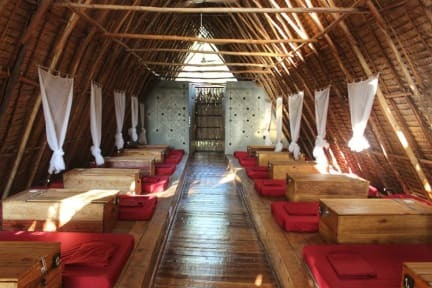 Mia Mia is a long house style hostel that combines unique, inspiring architecture with quality customer service to provide travellers with an unforgettable experience. Our bar is one of a kind and open until late. We regularly host parties and guarantee a good atmosphere, amazing staff and overall an experience you won't forget! At Mia Mia we care about the little things. Every guest can enjoy their own personal light, power socket, and large locker that also functions as a table, seat, backrest and privacy screen.